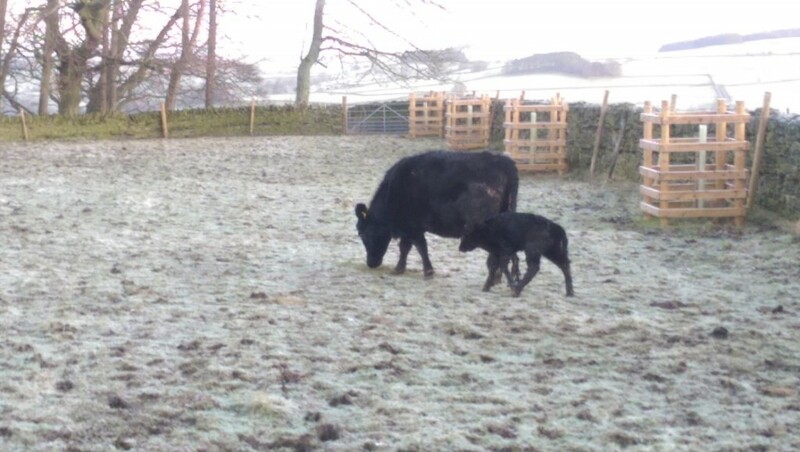 After what seemed like many weeks of waiting with far too much time spent examining the back-end of a cow, our second Dexter calf arrived on Thursday morning (18 Feb). On reflection we were a little over zealous in trying spot signs of the imminent arrival especially as the first calf arrived with relatively little fuss. It’s a second bull calf that we have named ELVIS and after just 48 hours he seems to be settling in very well. The tense moments over the first 24 hours are all in the past now, he has suckled well and is getting much steadier on his legs every day. At the start there was a little rather rough play from Oscar, who is 9 weeks old already, and it’s not easy to learn to walk while an energetic calf is jumping all over you! 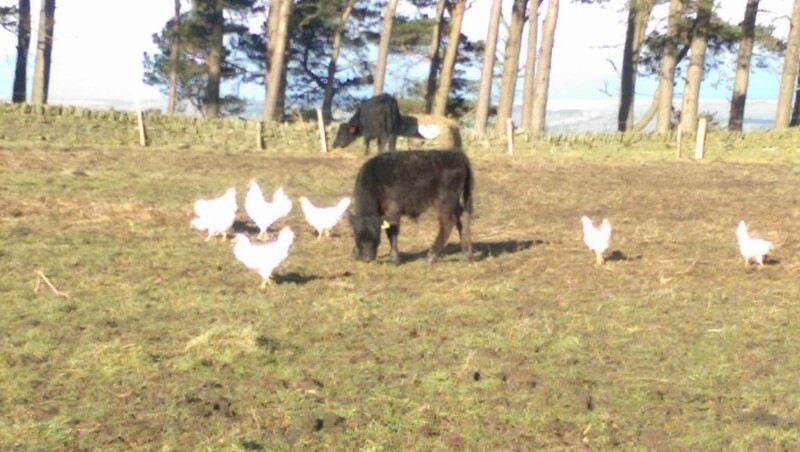 However the new mother (Daisy) was very quick to see this and soon put a stop to that sort of behaviour. After a few head butts from Daisy I think that Oscar has finally got the message because he went looking for fun elsewhere. I’m sure there’ll be plenty of time for the two calves to cause havoc around the place but for now peace has been restored. Everything with the cows can return to normal now – the next day it was time for another silage delivery from the neighbouring farmer. 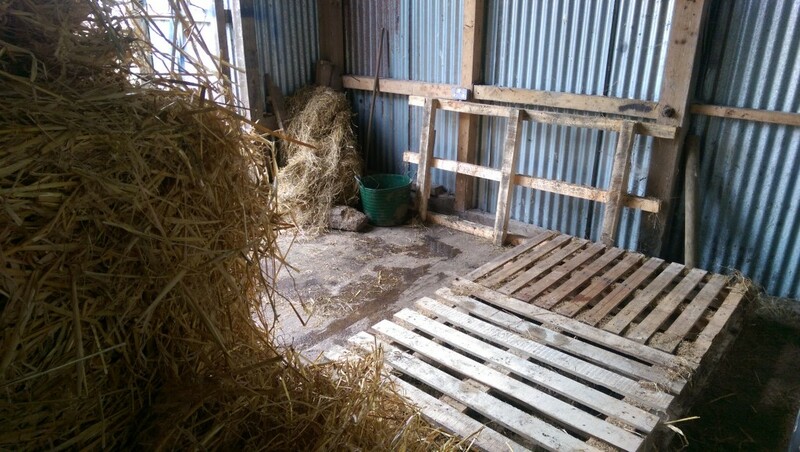 This has proved to be one of the most successful aspects because they take around 3 or 4 weeks to get through each bale and when we need a new one I just need to prepare the space ready for the tractor delivery!